Make your plans! Waterfowl hunting season dates and regulations have been approved for the 2013-2014 season by the Board of Natural Resources. the possession limit for waterfowl increase to three times the daily bag limit, allowing hunters on multi-day trips to bring home more birds than in years past. Some need-to-know dates and details for waterfowl season are the September Canada goose season (Sept. 7-29) and the September teal season (Sept. 14-29), with the teal bag limit increasing to six birds. An additional two weeks of Canada goose hunting was added Oct. 12-27, 2013. 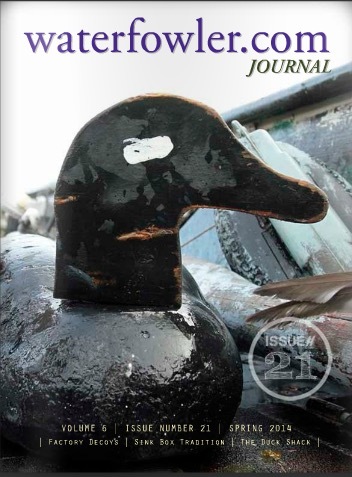 Hunting season for ducks is Nov. 23 – Dec. 1, 2013 and Dec. 7 – Jan. 26, 2014. A complete summary of migratory bird hunting season dates and bag limits is online at http://www.georgiawildlife.com/hunting/waterfowl . Youth Waterfowl Days are Nov. 16-17, 2013. On these two days, youth age 15 or younger may hunt specific migratory birds, such as ducks, Canada geese and mergansers, as long as they are accompanied by an adult of at least 18 years of age (only the youth may hunt). 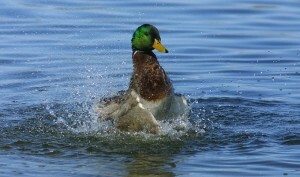 In order to hunt waterfowl, hunters must have a hunting license, federal duck stamp, Georgia waterfowl conservation license and a HIP permit. If hunting on a wildlife management area (WMA), a WMA license is required. Hunters may purchase licenses online at http://www.georgiawildlife.com/licenses-permits-passes, by phone at 1-800-366-2661 or at more than 800 license agent locations (list of agents available online). State license fees help support wildlife conservation in Georgia. The state receives federal funds from the Wildlife and Sport Fish Restoration program, based on a number of factors, including the number of paid sporting licenses. In Georgia, these funds are approximately $14 million a year and have helped restore habitat and improve wildlife populations, among other conservation efforts. 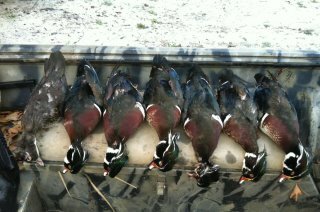 For more information, visit http://www.georgiawildlife.com/hunting/waterfowl . Those are some great looking drakes. When you post a pic that shows more than the daily bag limit of a single species — be sure to mention how many guys were hunting in your party so people don’t jump all over you. Georgia – Woodcock are now in Northwest Georgia. Nice to hear. I missed my annual grouse and doodle trip to WI this year. Post up those pics if you are hunting them. You can pics in the reports now.